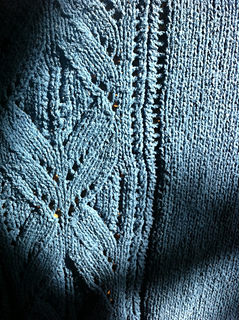 I always run out of yarn because unfortunately I am not able to estimate the proper amount of it. 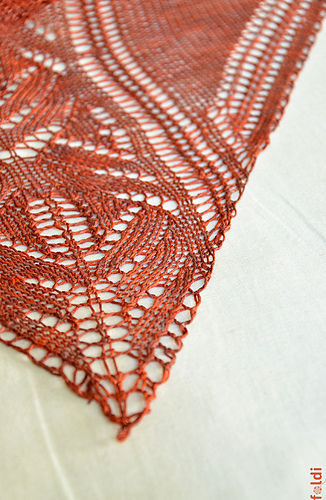 So I started this triangle pattern knitted from bottom up as one piece - knit your scarf as long as your yarn lasts! 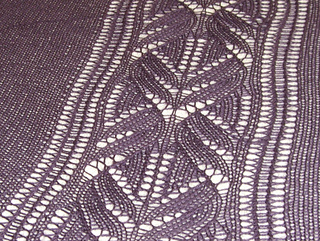 On the upper side it has a simple 3 rows edging - hence you have to spare yarn approximately 9 times of the last row length to finish it. 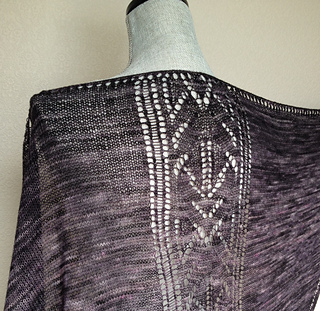 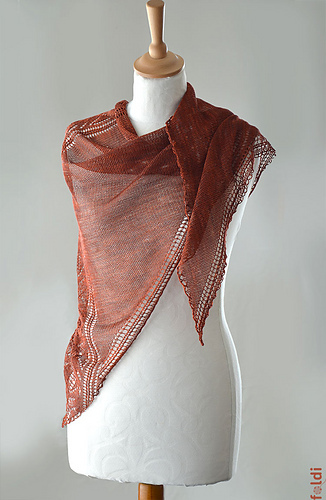 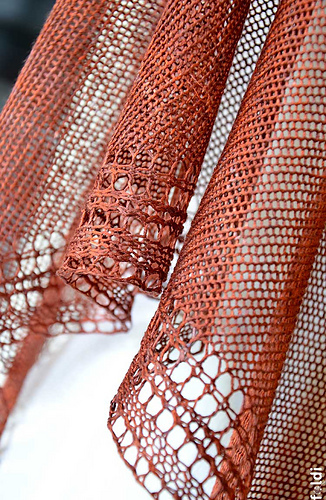 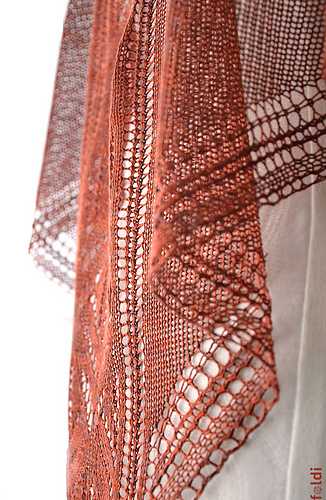 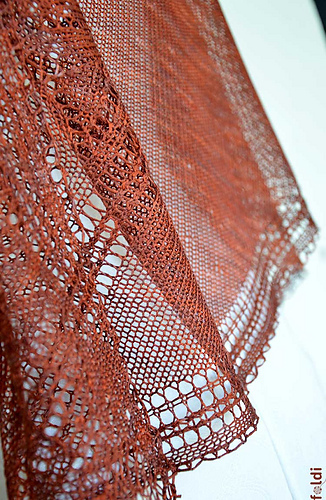 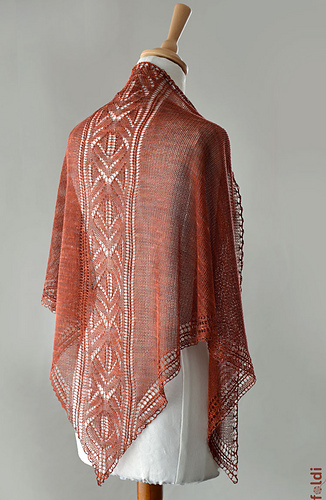 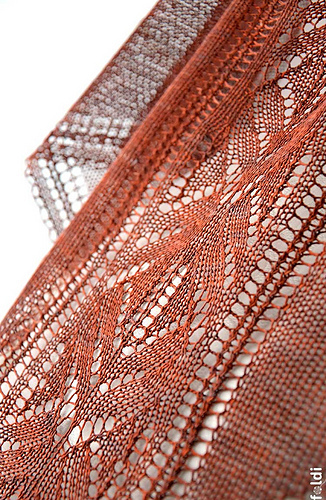 My “firebird” lace pattern adorns and emphasizes this scarf spine which is framed with plain knitting panels. 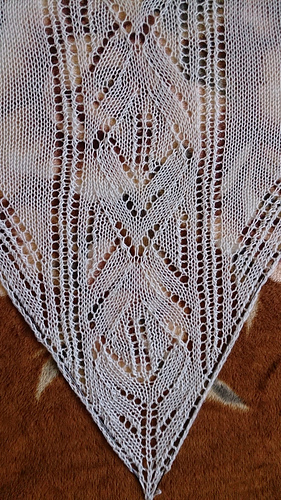 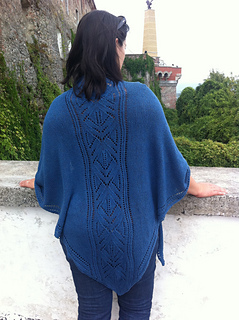 This kind of construction is ideal to show off the most beautiful of your yarns while it has the feminine lace part as well. 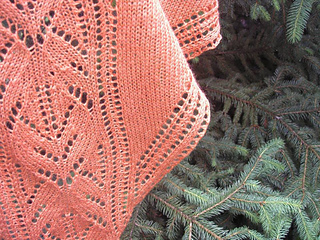 And last but not least it is easier - and quicker to knit. This pattern provides instruction in written format as well as charts.